You will feel like a southern debutante in this full, beautiful dress. The Belle of the Ball Dress is full of detail, starting with the embroidered flowers on the straps, and ending with the intricate lace skirt. Under the lace skirt, are layers of tulle and chiffon that add volume and will make you want to twirl and dance the night away. The bodice and waist of this lovely dress are made of pleated white chiffon. It has an invisible back zipper and lightly lined and padded bust for support. All of the details of this dress truly showcase the great quality and excellent workmanship of this gorgeous dress. Pair this dress with strappy sandals to complete the look. 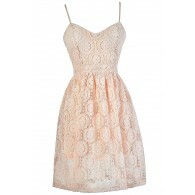 The Belle of the Ball Dress would look great at any summer event, prom, or dance. Also available in White and Pink. Invisible back zipper. Fully lined. Self: 100% polyester. Mesh & Organza: 100% polyester. Lace: 100% polyester. Lining: 95% polyester, 5% Spandex. Dry Clean Only. Small measurements: Length from top of bust to hemline: 31”. Bust: 32-34”. 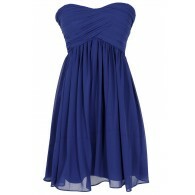 You have added Belle Of The Ball Designer Dress by Minuet In Teal into Wishlist. You have added Belle Of The Ball Designer Dress by Minuet In Teal for Stock Notification. You have set Belle Of The Ball Designer Dress by Minuet In Teal as a loved product. You have removed Belle Of The Ball Designer Dress by Minuet In Teal as a loved product.